How to Find Out How Old My Frigidaire Is? Knowing an appliance's age helps you determine how much longer it might last or whether it's time to purchase a more energy-efficient model. If the appliance needs a repair, you'll want to know it's exact age to determine whether it's still under warranty and to help target accurate repair instructions, if you're troubleshooting it yourself. To determine a Frigidaire appliance's age, decipher a code from its serial number. Keeping an appliance's sales reciept can be handy. 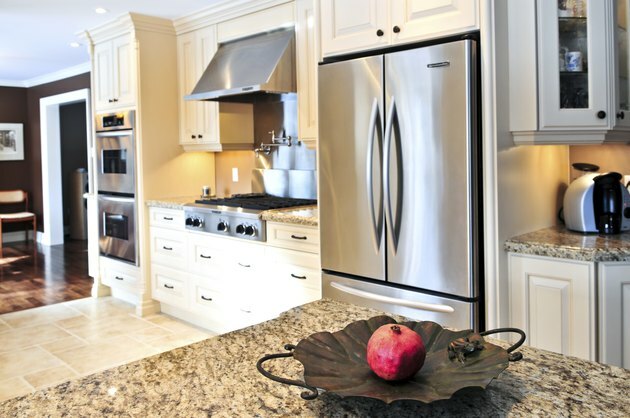 Frigidaire manufactures a wide array of home appliances from refrigerators to washer/dryers. If you haven't previously written down the appliance's serial number, locating the number might take a bit of a hunt. On a refrigerator/freezer, for example, it could be on the refrigerator's ceiling, side wall or door; or behind the crisper or the kickplate on the bottom front of the unit. A washer's serial number can be found on the underside of the lid of most top load washers and on the inner door or door well of front loaders. 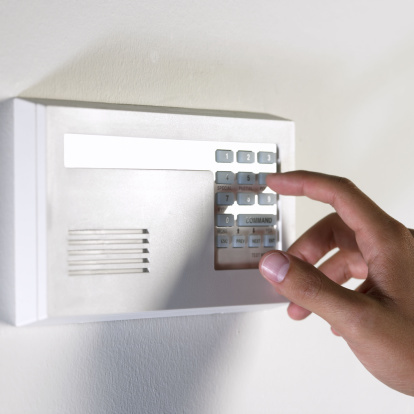 Serial numbers are located below the appliance's model number and begin with two letters followed by a series of numbers. The first letter of a serial number indicates the location where the appliance was made. The second letter indicates the appliance type. The first number is the year the appliance was manufactured; the next two numbers are the week in that year. For example, AB320 means the appliance was manufactured in 2003, in the 20th week, or April. Deciphering can get a little tricky. In an appliance with the serial number AB920, the 9 could mean 1999 or 2009. You'll have to use your judgement as to whether the appliance looks 15 years old or 5 years old. 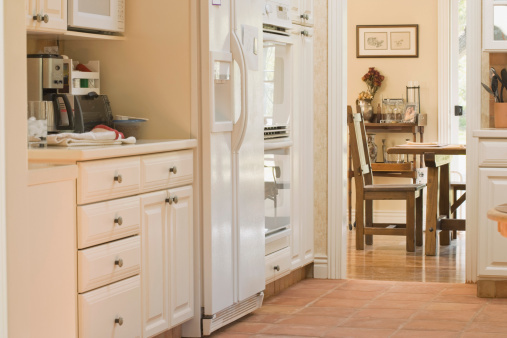 What Is the Difference Between Bisque & Biscuit Color in Major Appliances?